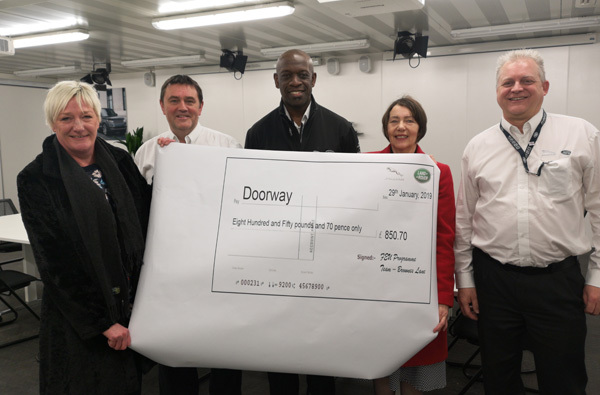 A team of volunteers from the Field Evaluation Unit (FEU) based at Brown’s Lane have raised £850 for Warwickshire-based youth homelessness charity, Doorway. The money raised by the group was a result of various fundraising activities, which will help the charity reduce youth homelessness in the region, with the funds going towards food and shelter. Doorway was created to address the lack of social housing in the Warwickshire area, and has been working in the community for 21 years, with the charity receiving more than 30 referrals a month from those in need. For more information about our volunteering programme or to get involved, click here.